Using only the best of what Mother Nature can offer and a huge dose of love from the farmers, we strive to provide the Fort Collins area with the freshest, tastiest, and healthiest produce that can be grown in the Northern Colorado region. We are honored to be growing healthy and fresh food for our community. Our produce is available through our CSA programs, the Larimer County Farmer’s Market, and at the Beaver’s Market Farm Stand. You can also find our high quality produce on the menu at select Old Town Fort Collins restaurants and cafes and in the produce section at the Fort Collins Food Co-Op. Food grown close to home has many benefits over food trucked or flown in from far away. Grocery store produce travels on average 1,500 miles from farm to table, and we are excited to be just 3 miles from Old Town Ft. Collins. Local food is super fresh, offers a huge variety, is the highest quality, and has taste that is unparalleled! We farm using organic standards but are unable to become USDA certified due to our short land leases. As a farm we are ready to become certified organic once we have permanent home for our farm. Come on out to the farm, meet the farmers and see for yourself how we grow the good food that we provide to the community. Possibly the only thing we love more than growing tasty veggies is the community that we cultivate by doing so. The positive energy, genuine appreciation, accountability, and loving support are the most important piece of the farm’s sustainability plan. We couldn’t exist without it! Here at Native Hill, our farming practices are a healthy blend of old world agrarian knowledge and modern innovation. 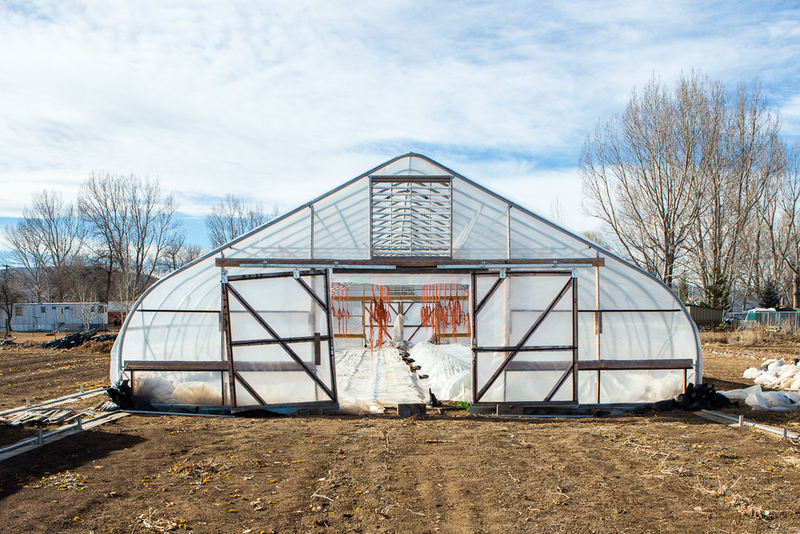 Think heirloom tomato meets modern hoop-house construction. In order to grow food year round in this high desert community for a fast paced world, we must innovate and learn daily about how to conserve energy, water, and soil while also producing the highest quality food as efficiently as possible. We believe in the three pillars of sustainability: people, planet, and profit. All are equally as important to the long term vision of the farm and we are dedicated to making decisions that will maximize our sustainability within each of these categories.